Corona Insights recently helped sponsor the Colorado Open Space Alliance: 2013 Conference in the beautiful hamlet of Crested Butte, Colorado. More land managers and natural resource professionals attended this year’s conference than any year prior, demonstrating both the success of the conference organizers and the growing field of open space, natural areas, and landscape conservation in Colorado. This year’s conference was energetic, inspiring, and full of camaraderie, and Corona Insights was proud to help sponsor such an event. We were also happy to share some insights and implications we uncovered while conducting research for a Front Range open space agency this summer. 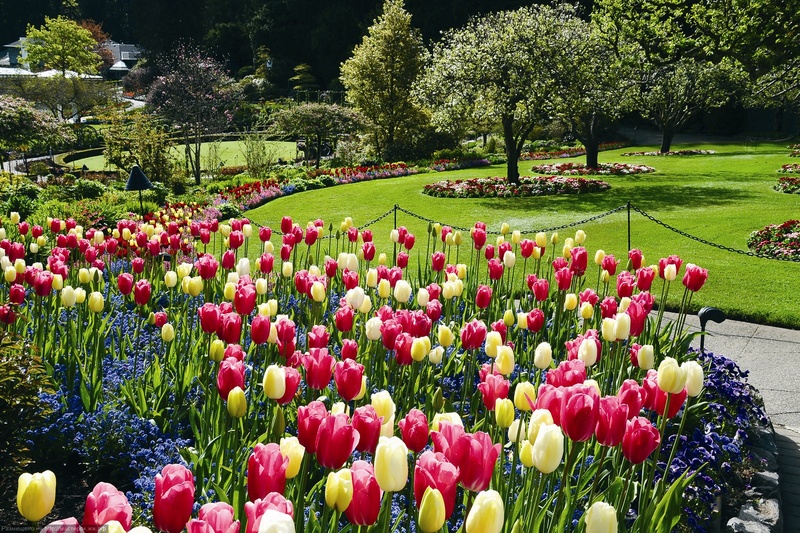 We surveyed county senior citizens to understand their desire to recreate on open space, satisfaction of their recent visits, preferences for amenities and trail management, and what makes it difficult to access open space. Understanding what this segment of the population thinks is important because the proportion of Coloradoans older than 64 is projected to increase by 7.8 percent over the next 15 years. Some of our findings were expected (e.g., most seniors go hiking or walking when visiting open space) but other results were surprising. For example, most seniors prefer hiking on trails made of dirt and rock, rather than gravel trails or paved trails. Seniors are also most likely to prefer trails that are wide enough for two people to walk side-by-side and least likely to prefer trails that are wide enough for only one person at a time. These results will inform resource and recreation planners, landscape architects, and other staff about what trail policies and amenities seniors prefer. If your agency or department needs to know what your constituents prefer, need, want, or do, give us a call and see what Corona Insights can uncover for you. If biology, geology, and chemistry are hard sciences, then are other scientific disciplines soft or easy (or scrabbled)? Social scientists, especially in the natural resource realm, have long advocated for the legitimacy of their research, and they have struggled to define their endeavors under the hard science paradigm. However, the gap between social and natural sciences appears to be closing. Biologists and foresters are beginning to understand that environmental conservation and natural resource production are inevitably tied to attitudes, values, and human behavior. With seven billion of us on the planet and counting, conservation decisions necessitate understanding and incorporating the social dimensions of environmental issues. Additionally, new social science research techniques such as GPS integration and online listening makes tracking human behavior more similar to wildlife biology than ever before. For this reason, we applaud the authors of this paper, published in Contemporary Social Science, for encouraging social scientists to engage proactively and strategically with natural scientists. Marrying the two realms is challenging, especially considering the epistemological differences. Nevertheless, as we improve multi-disciplinary methodologies, we will unlock a tremendous world of new discoveries, and more importantly, new questions. Multi-disciplinary research that integrates natural and social science theory and data may be the hardest science of all. Did sales increase after the campaign? Who donated the most money? When did website traffic peak? We can answer these questions by measuring actual behavior, a practice that is not as common in market research as one might think. This may be due to age-old industry norms that insist measuring actual behavior is too difficult and cost prohibitive. While we acknowledge this inherent challenge, we believe carefully planned research and creative solutions can make the most of opportunities to measure behavior. When it does cost more, the extra investment may actually add value to the projects, considering up-front and direct costs required to initiate the survey. Behavior is what people actually do, so the most accurate way to measure behavior involves observational techniques. Much of our internet and electronic activity is already observed and compiled. Website use, online shopping, and social media posts leave tracks of actual behavior. Some behaviors, such as whether or not someone voted in the most recent election, are available from local governments. However, when behaviors are not easily monitored, what alternatives exist? We have noticed some creative solutions lately. For example, in Yosemite National Park, researchers are asking visitors to carry GPS devices as they travel through the park. While this may sound to some like big-brother, the collected data provide a wealth of detailed information for analysis that was not available through self-reporting. Collecting data electronically clearly has advantages in time efficiency and ease of analysis, but sometimes you need to hit the streets and physically observe what people are doing. Corona is excited to continue our partnership with a local transportation authority to better understand seatbelt use. Our experience taught us that from-the-street observations of seatbelt use are much more accurate at measuring behavior than doing so on a survey; the value added is well worth the additional cost. We continually strive to develop creative ways of measuring actual behavior because that is often what our clients need to know. We hope you have enjoyed this series about measuring previous behavior, behavioral intentions, and actual behavior. Each approach provides an opportunity to gain valuable insight, but they all carry associated challenges. At Corona, we have the experience and ability needed to select and execute a research approach tailored to your needs. Give us a call and let us help find the answers to your most important questions. For over two years now, Corona Insights has been providing races around the country with a standardized way of surveying their athletes. This process was developed by Corona as an innovative process for race directors to get feedback and see how their races compare to other races. Since the survey’s inception in early 2010, over 17,000 athletes total (in 35 different states and in Canada) have taken the time to provide their feedback about the race they completed. Congratulations, again, to Amy for winning the prize, and we’d like to thank all of the race directors around the country who helped make this survey a success. For more information about the Corona Insights Race Survey and Rating System, contact us. On Monday, the Denver Post featured Corona’s founder and Principal, Kevin Raines, and his cross-country run. No, Kevin hasn’t been on sabbatical hoofing it across America. He’s been tracking his daily mileage online. 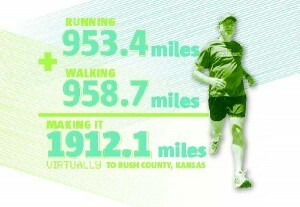 Kevin’s virtual run from Virgina to Oregon is made possible through the National Runners Health Study. He calculates his daily miles (including his 4 mile round-trip walk to and from Corona) with www.mapmyrun.com and logs the mileage at http://exercise.lbl.gov. Since the article’s publication, about 120 Coloradans have signed up to start their own journey across the country. Kevin began running in 2009 and recently completed his 20th half-marathon. Kevin’s cross-country run combines two more of his passions: data and travel. Corona also uses data to help fellow runners and race organizers answer their most important questions through our Runner Survey and Rating System services. To date, we’ve conducted 100 post-race surveys and community benefit analyses in 34 states. 2010 marked the inaugural year of the Corona Insights Race Survey and Rating System. Having several runners on staff, and noticing that many races do not gather feedback from race participants, we decided to create a standardized system that race directors can use to improve their services, and that marketing directors can use to promote their runs. In 2010, races in 33 different states signed up and well over 6,000 runners nationwide participated in the survey. As an incentive for runners to provide their feedback, we allowed them to enter their names into a $500 sweepstakes drawing at the conclusion of the survey. We recently selected the winner at random, and we would like to officially congratulate Josefina C. of Los Angeles on winning the prize. Josefina competed in the 10th Annual Say No To Drugs Race Holiday Classic on December 5th. We would also like to thank all races and runners for their participation in 2010, and we look forward to continuing our efforts to help races around the country get feedback from their runners. For more information on the Corona Insights Race Survey and Rating System, click here.